Within The Tejas Brothers is practically the whole spectrum of Texas music. The popular regional act – which returns to Amarillo for a 10 p.m. Friday show at Hoot’s Pub, 2424 Hobbs Road – pulled together a broad range of influences when it formed in 2006. 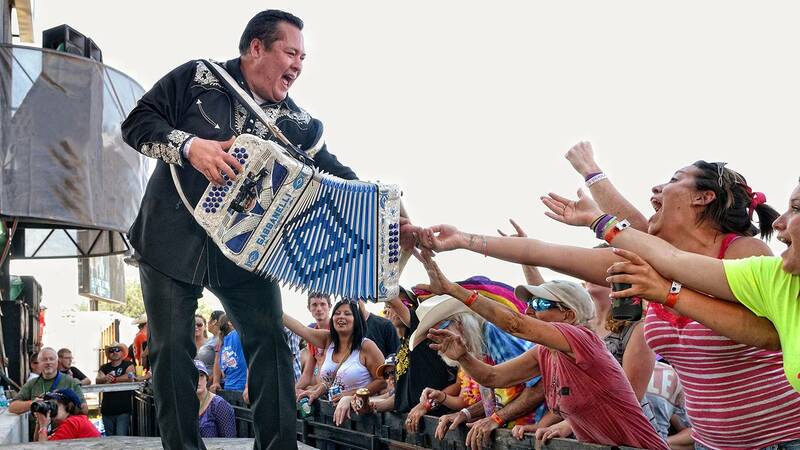 Bass player John Garza said he met accordionist/frontman Dave Perez at an open-mic night in Fort Worth; the jam session went so well that they formed the Rangers – in large part because the two Mexican-American musicians had similar backgrounds. Perez found a home in Tex-Mex music, while Garza discovered a love for early rock ‘n’ roll and blues – all of which had strong roots in Texas. They also proudly follow in the footsteps of the Texas Tornadoes and the late Doug Sahm, pivotal figures in Tex-Mex rock. “We kind of comingled, co-introduced each other to stuff that we already knew about,” Garza said. Since its formation 10 years ago, The Tejas Brothers has become one of the most popular touring bands in the state and frequently performs at some of the most popular music festivals in Texas, including April’s annual Larry Joe Taylor Music Festival and, often, Homer’s Backyard Ball in Amarillo. “It’s neat to go to a Texas music festival and have someone in the vein of the next George Strait followed by a band that’s maybe more like The Black Crowes or a ZZ Top or someone like us,” Garza said. One dollar of Friday’s $12 cover charge will be donated to a GoFundMe campaign for Amarillo resident and Texas music fan Daniel Vaughn, who was diagnosed in 2014 with chiari malformation, a debilitating disorder which affects the cerebellum, which controls balance. A portion of proceeds from a Thursday show with The Josh Weathers Band and a Saturday show with The Cassettes also will benefit Vaughn’s campaign.